Félix Antonio López (1958) receiver his PhD in Chemical Sciences from the University of Valladolid (1987). He was a lecturer in the Dept. of Geochemistry at the same university from 1983 to 1984, and in 1985 he joined the CSIC with a grant awarded through the Plan de Formación de Personal Investigador programme. In 1987 he gained a position as Scientific Collaborator with the CSIC, working on materials recycling. In 1990 he was promoted to Scientific Researcher and worked on obtaining raw materials via physical-, hydro-, and pyrometallurgical techniques, the treatment of residues via stabilizing/solidification techniques, remediation, pyrolysis, and the production of secondary raw materials and recycled products. He has published some 230 scientific papers, has an h index of 27, and has been cited nearly 2500 times. He is the author of 21 patents, eight of which have been transferred to industry via exploitation agreements and licensing. He is a reviewer for over 20 international journals, and since 2014 the Editor of the Revista de Metalurgia (a CSIC journal). The journal is SCI-indexed and since 2014 has enjoyed the FECYT Seal of Quality for Spanish Scientific Journals. He is also a member of the Observatorio de Prospección Tecnológica e Industrial (OPTI), sits on several national and international committees dealing with materials recycling, and collaborates in the assessment of projects through several national and regional agencies (ANEP, ANECA, SPRIT, etc.). 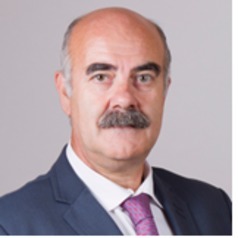 Currently the National Coordinator for the Red de Reciclado de Materiales del CSIC (RECYMAT), he held the post of Technical Deputy Director of the CENIM (CSIC) from 2000 to 2005; since 2013 he has been Deputy Director of Training and Communications of the latter institution. He has ample experience in the area of disseminating scientific knowledge to the public and of organising scientific events, and has directed 12 doctoral dissertations in different areas of specialization, as well as several Masters theses and summer courses. He is also the founder and promoter of Thermal Recycling of Composites S.L, a CSIC spin-off devoted to exploiting technologies for the recycling of end-of-life wind turbines and wastes from the aeronautical industry; he is currently the company's Director of R&D+i. Finally, he was the recipient of the 2012 R Prize for the best innovative project in the area of materials recycling, and was finalist in the IV and V Convocatorias del Fondo de Emprendedores de la Fundación Repsol competition (2014, 2015).